Home / Blog / What’s the Difference Between Andersen 200 & 400 Series Windows? Andersen differs from Pella and Marvin (read our best replacement window brand comparison) by offering a vinyl cladding on the exterior as opposed to an aluminum exterior. Andersen wood windows also have a 20-year glass warranty and a 10-year parts warranty. 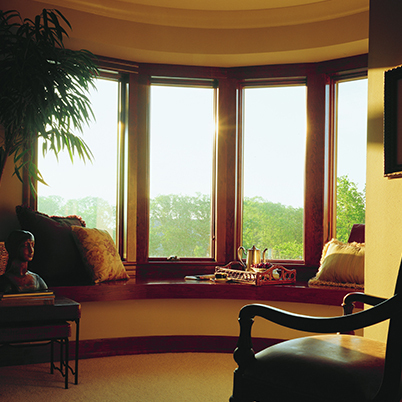 The Andersen 400 Series is the most popular line for replacement window projects. Andersen is perhaps best known for their consumer-friendly customization options, making this an excellent choice for homeowners who want to play an active role in the creative process of their home remodel. Andersen 400 window styles feature wood as the interior material with a strong vinyl exterior, built for both style and utility. The interior wood is available in pine and may be factory finished or stained. “Grilles” can be inside the glass, removable, or set as Simulated Divided Lite grilles. The exterior vinyl cladding is available in seven colors. One nice feature of the 400 Series Casements is that the entire sash is wrapped in vinyl. If the window is left open in the rain, the water hits the vinyl sash, not a wood sash, keeping your purchase looking newer longer. The 200 series is a bit more basic than the 400 series, offering fewer design and customization options. 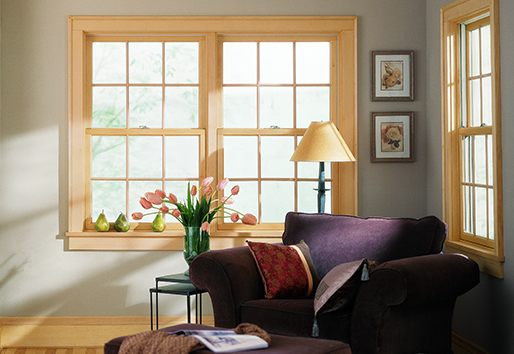 The 200 series Andersen replacement windows are constructed of a pine interior which comes in either Pine or White. The exterior is vinyl and is available in either White or Sandtone. This series is of similar quality as the 400 series but lacks the individualism of custom features and colors, which helps to reduce the price. Sizing options also make this line a bit less useful for specialty replacement window projects. The main difference between Andersen 200 and 400 Series Windows is the level of customization and color. The 200 series is Andersen’s mass market option for replacement wood windows, while the 400 line is their premium wood window product. If you’re a fan of the Andersen brand, but not looking to break the bank on real wood, the Andersen 200 Series may be the best fit for you.